We’re still in the early stages of recovery after four days at this year’s Irish Craft Beer Festival at the RDS in Dublin, very tired but also delighted with the public response to our beers. With the number of good breweries now making great beers in Ireland, we are very honoured by the public’s selection of our Scraggy Bay and Rustbucket as their favourite beers in their respective categories. We’d like to thank everyone who voted for us, all those who stopped by the RDS to talk with us and try our beers, and everyone who has supported us over the past year. 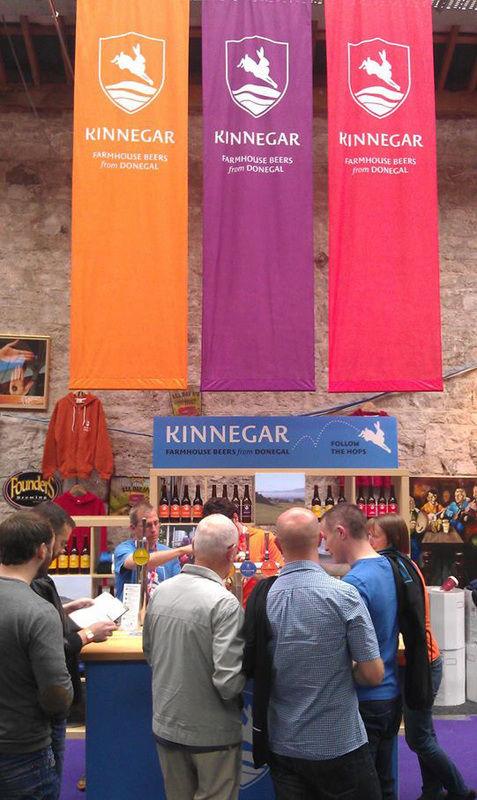 This entry was posted on September 8, 2014 by kinnegarbrewing. It was filed under A brewery grows, On the road .